Family will greet friends one hour prior. 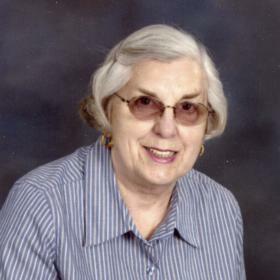 Jean Ann Hoxie Simsa, 92, died peacefully on Feb. 9, 2019. Born Nov. 8, 1926 in Traverse City to Columbus and Minnie Couturier. She was the oldest sibling to John "Jack" Couturier (Gerry), sister Janet Fitzpatrick (Jerry) of Fulton, Tx. and Beaverton, Mi., sister Evone and the late Eugene Aldrich of Traverse City, her late brother Richard and her late sister Patricia. Loving mother to William (former wife Julie Clynes), Robert (Suzette), Gregory, Scott (former wife Rene Papineau), and Theresa Guinta (John). Growing up in Traverse City, Jean Ann was always proud of her French-Canadian Heritage. Her ancestors were some of the first settlers to Lake Leelanau and Traverse City area. Proud Grandmother of ten, great grandmother of seven. Jean Ann was dedicated to her family always a pillar of strength. She attended Traverse City Central and St. Francis School, then graduated from nursing school in 1952. She worked in nursing at Munson Medical Center, State Hospital and retired from Arnell Engstrom School. She volunteered at St. Francis of Assisi, helping with funeral luncheons. She also volunteered at the Traverse City Visitor Center for many years. She enjoyed cooking. gardening, sewing and making beautiful quilts to treasure. Her little dogs were her constant companions. During her assisted care Jean Ann was a resident at Arbor House and her family extends sincere gratitude to Cindy Robertson and her staff. In lieu of flowers donations can be made to Heartland Hospice Memorial Fund at www.heartlandhospicefund.org. Thank you, Peggy and Beth. Memorial Service will be held 11am, Monday, March 18, 2019 at St. Francis Church; the family will greet friends starting at 10 am. Please visit www.lifestorytc.com to sign the guestbook and share your thoughts and memories with the family.